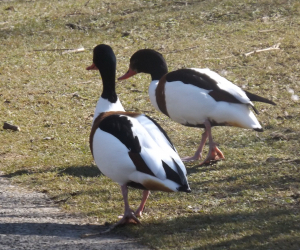 Observation - Shelducks - UK and Ireland. Description: Some of many individuals seen within grounds of Llanelli WWT site. Some males seemed to approach females of other species. Some of many individuals seen within grounds of Llanelli WWT site. Some males seemed to approach females of other species.